Casa Rural El Olivar offers a unique winter package for small groups. Spend a long weekend together with 6 to 10 friends or relatives in our Bed & Breakfast. Enjoy a delightful and fresh Spanish breakfast every morning. 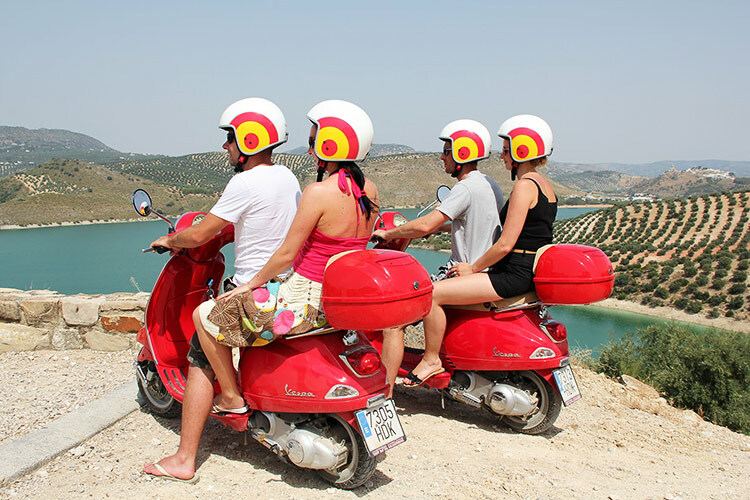 During the day, explore the Andalusian interior by Vespa. Roam through its olive groves, with a magnificent panorama waiting round every corner. Take your time for a refreshing drink or a typical tapas meal in one of the various establishments on the road. On your return to Casa Rural El Olivar, take your place at the dinner table for a delightful Spanish meal: paella, gambas, tapas or delicious homely roast chicken. Relax under the palm trees and enjoy the view of Lake Iznájar! Casa Rural El Olivar offers a shuttle service to and from the airport. All you need to do is gather 6 to 10 friends and book a flight to Málaga! Available for a minimum of 6 to a maximum of 10 people. Available from 15 November to 15 March. Should you wish to make a reservation for less than 6 people, it might be possible to join another group. Flights must be booked individually. Day 1: Shuttle Málaga-Iznájar. Welcome drink and check-in at the Bed & Breakfast Casa Rural El Olivar. Paella night. Day 2: 9 am breakfast. 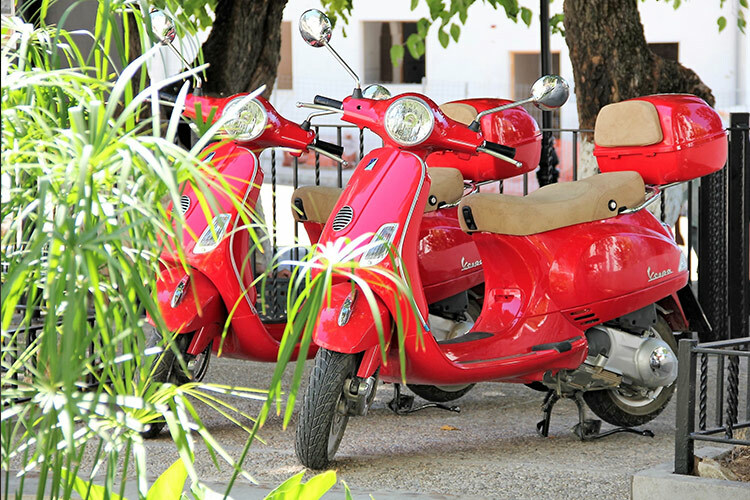 Vespa tour 1 (10 am to 6 pm). Gambas night. Day 3: 9 am breakfast. Vespa tour 2 (10 am to 6 pm). Tapas night. Day 4: 9 am breakfast. Vespa tour 3 (10 am to 6 pm). Roast chicken. Day 5: 9 am breakfast. Check-out. Shuttle Iznájar-Málaga.